Private School: Worth Your Money? A guest post by Trish of Simple in France. Would you pay $8,000 a year to send your child to private school? According to the Council for American Private Education (http://www.capenet.org/facts.html), that’s the average tuition at a K-8 private school. Assuming tuition doesn’t go up during your child’s schooling, you’re looking at an average of $64,000 for 8 years. And don’t let the averages fool youâ€”some private schools cost quite a bit more. I know the value of education. I myself am a teacher by trade. Before moving to France from Southern California, my husband and I both worked in a number of excellent (public and private) schools. Still, if you’re considering investing in a private education for your childâ€”I’m sure you want to make sure your money is well spent. Qualifications of teachers: Academics often argue that a teacher’s ability has more to do with learning than any other factor (including small class sizes, use of technology or specific textbooks . . .). If you want to make sure your child receives an excellent education, research a potential school’s teachers, their qualifications, their backgrounds and even what other parents and students think about them. I’ve worked in public schools with stringent hiring practices, enticing teacher salaries and top-notch teachers. I’ve also seen private schools that employ teachers without credentials and at a 30% lower salary than their public school counterpartsâ€”some of the teachers at these schools were, in fact excellent. Others were mediocre at best. Individualized Instruction/ Low Student to Teacher Ratio: Having taught in public schools with class sizes as large as 36-40 and private schools with class sizes from 10-20, I’ve experienced the difference. A given teacher can provide more individualized attention per child with smaller groups, and I personally feel that the outcome would be better in a smaller classâ€”provided the teacher of the smaller class is as qualified and competent as the teacher in the larger class. Once again, however, I would not assume smaller class sizes. Before sending your child to private school, ask about the school’s limit for class sizes. Safety and Security: This would be my number one reason for considering private school if I had children. I’ve worked in plenty of perfectly save public schools . . . and one or two that were downright violent. I personally would spend the extra money to keep a child safe. That said, when you consider paying extra to send your child to private school, be sure to take a tour of the campus and check out the safety of the campus for yourself. And don’t overlook perfectly safe public school alternatives. Social Life and Social Skills: Private schools with their small class sizes can allow some children to bloom in terms of social skills. Students will get to know others faster. They will often find themselves with a close-knit group of friends. 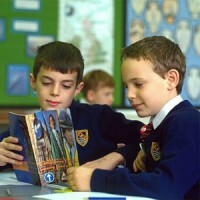 However, when small class sizes throw children together who do not get along, private schools can be very unforgiving. Putting your child in private school does not necessarily mean he or she will get along better with peers, in fact, minor social problems can be exacerbated in smaller schools. Resources for Students with Special Needs: Public schools are required by law to provide services for students with special needs such as learning disabilities, ADHD, deafness etc. Often, it is possible to find public schools with staff trained to assist students with special needs on site. This may not be the case in private schools where parents may need to seek aid from specialists on their own. Do you or would you send your child to private school? The answer to that question most likely has something to do with the factors I discussed above. It also may have to do with cultural or religious opportunities provided by a given school. Regardless, your experience and your child’s experience is likely to be a unique one. Trish is the author of the Simple Life in France, a blog describing a duo who moved from California to the countryside of France to escape the rat race. Where the two survive on one income by maintaining a simple, frugal, and sustainable life together. This entry was posted in Family & Relationships and tagged private school on 2010-04-29 by Christine.